The Crescent Blazer is a lightweight outerwear piece, ideal for the transition to spring-summer. This longline jacket comes in a classic grey colourway and features functional front pockets. 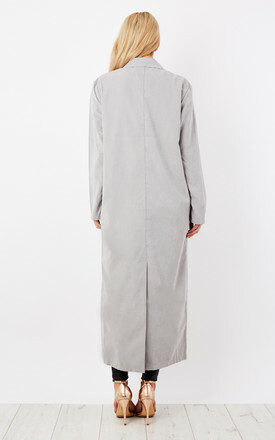 The Crescent coat also comes with an interesting split on the centre back hem for an interesting take on summer outerwear.